With the release of Avengers: Infinity War, the Marvel Cinematic Universe (MCU) will officially become 10 years old. While the road to this milestone was by no means smooth, the MCU has long cemented its status as the most successful shared film universe of all time. This achievement has inspired other film companies to start their own shared universes – although, as of now, they have not come anywhere near to matching the MCU’s success. Shared universes are currently all the rage in Hollywood lately. A shared universe allows events in several films to happen in the same fictional world, which means that the storyline of each film can affect or overlap with the storylines of others, and the characters within one universe may cross over and appear in the same movie, like in The Avengers. Hollywood’s obsession with shared universes started with the MCU. It began in 2008 with the release of Iron Man , and soon launched three individual film series: Iron Man, Thor, and Captain America. In 2012, they released the cinematic event that each series had been building up to, Marvel’s The Avengers , whose international success boosted the MCU’s popularity. After this triumph, the MCU released even more superhero series such as Guardians of the Galaxy to become the highest grossing film franchise ever, grossing about over $14 billion worldwide by 2018. This April, the MCU will release its 19th film, Avengers: Infinity War. It is a highly anticipated event, as it will bring all of the characters of the MCU together. While the MCU has been successful in financial terms and has been critically acclaimed for its trademark portrayal of superheroes, it has not been free from criticism, especially for the lack of diversity within the films. Many critics have pointed out that for quite some time, only Caucasian males were cast as the lead in the individual films. Women and minorities were, at best, supporting characters. Although it cannot be said that the MCU is no longer plagued by that particular problem, it has certainly made an effort to improve. This can be seen in Phase Three, which is currently in progress. 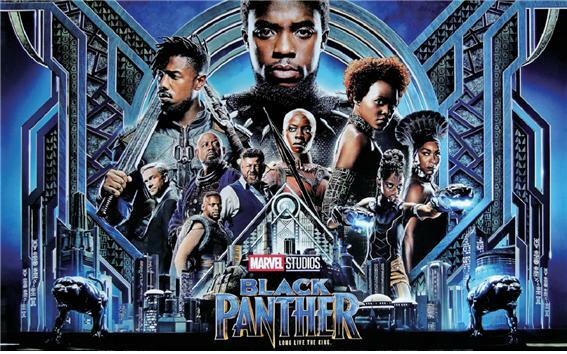 Black Panther (2018) is the first film by Marvel Studios with an African main character. It was also the first to fill the majority of its cast with African- American actors. The issue is related to the lack of female main characters has been dealt with as well. Captain Marvel is set to be released in 2019, with Brie Larson as the protagonist. A Black Widow movie is also slated for release after Phase Three in response to the demand of fans. 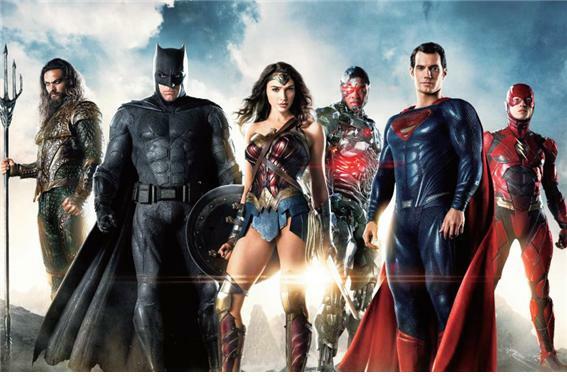 As the MCU has grown stronger and generated more profit, Hollywood has seen several shared universes arise over a few short years, such as DC Films, the Dark Universe, the Star Wars Universe, and the Transformers Universe. However, many have been disappointing to fans and critics. What has caused this sudden rush for shared film universes? The answer is obviously related to money, but box office records are not the sole source of attraction. A well-made and properly functioning shared universe becomes a stable and constant source of income as it does not allow fans to lose interest. Other production companies, observing that the MCU was incomparably profitable, decided to launch their own versions, notably the Dark Universe and the DC Films, but they have been mediocre at best, probably because they were superficial imitations that captured the MCU’s ambition, but not its patience or meticulous world-building. The films that are set to be released in the MCU are carefully planned out beforehand — this can be seen in the schedule of the movies that are to be released in the future. Indeed, just last month, Marvel announced six new movies to be released by 2022 — which means that Marvel Studios spends time establishing the big picture for the films, fine-tuning their storylines, and searching for the right actors and directors. Those who rush into the shared film universe business lack the time to fully develop their films. “After the MCU, they were too eager to build their own universes,” explained Kim, “In turn, the quality of their movies suffered.” Although the problems for each universe vary, there are some that repeatedly appear across production company lines. For example, plot-wise, the other film universes are less than ideal. In their rush to set up a shared universe, producers cluttered their films with too much foreshadowing of what was to come. If the foreshadowing is subtle enough, this is not necessarily a problem; however, some movies indulge in it to the point that it becomes a distraction from the main story of the movie. 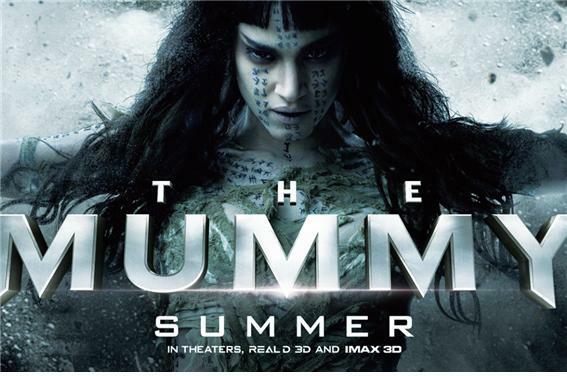 This was the case The Mummy (2017), which launched the Dark Universe. Although the central story was supposed to focus on the titular monster, critics claimed that too much of the movie was spent setting up the universe, which had little to do with the main plot. The film introduced Henry Jekyll and his organization Prodigium, which serves the purpose of dealing with the monsters within the Dark Universe. Several scenes were used to deliver exposition about the universe and Easter eggs referencing possible future films. While some universe setup is necessary, The Mummy suffered from a glut of it, which distracted the audience from the main storyline. In addition, many universes are criticized because they do not meet viewer expectations. 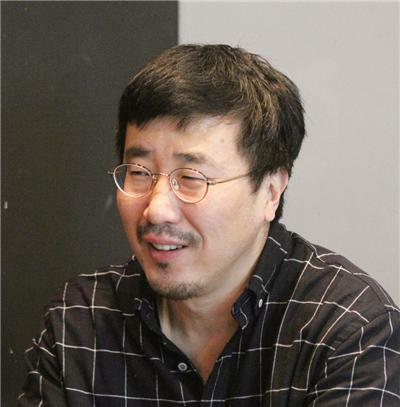 “Most film universes are based on previous source material,” stated Kim. “This is largely because such films with complex continuity are usually very difficult to build from scratch, and producers know from experience that even if they do, their movies are most likely to fail.” Although source material is a relatively easy way to launch a universe, it creates problems of its own. When basing a film on an original work, fans of that work will have certain expectations, and when they are not met, the fan base is likely to have a stronger negative response compared to when they watch original films. abbreviated BvS. While fans were angered by several aspects of BvS, the one that provoked the most ire was Batman. Fans of DC Comics held that the most defining characteristic of Batman is his unwillingness to kill. However, the Batman of BvS is shown mowing down criminals without compunction. This portrayal was simply not good enough to satisfy fans, and the universe suffered as a result. Many shared film universes are deemed to be of such low quality that audiences say the only way they can succeed is by rebooting them, most notably the Dark Universe, which was on the verge of cancellation. However, it is doubtful that most film universes will be abandoned by their production companies. “Although the general audience may criticize the movies, there is always a dedicated fan base that continues to consume related products,” said Kim. He explained that since they can siphon off a certain amount of income from fans even when the actual films are panned, the production companies will probably continue to pursue their shared universes. However, if they wish to create a shared universe that is as influential as the MCU, they need to put more thought into the production of their films; they cannot expect to have a successful shared universe when the films fall apart under the slightest scrutiny. How they should improve is quite simple, at least in theory — by taking the negative responses to heart and addressing the problems that critics and audience members alike have pointed out. This method has been already proven to be quite effective, as seen in DC Films’ Wonder Woman (2017). “Unlike some other DC films that have been stuffed with too much material and have characters that are hard to relate to, Wonder Woman has a clear character arc for the protagonist with the appropriate amount of material to justify it,” said Kim. It also provided an accurate portrayal of the original character while at the same time merging her characteristics with current values such as feminism. Wonder Woman clearly addressed the problems of the films before it — and sure enough, it is still the only one of the DC films that can be considered an unequivocal success. The MCU is the leading shared film universe, both in terms of financial success and popularity. While the road to the top was rough, and they are still working to smooth out the edges, there is no doubt that the MCU has made an effort to improve. As the MCU keeps moving forward, other production companies have jumped into the shared universe market, although they have not received such a positive response. Nonetheless, there is no doubt that production companies will keep trying, whatever the results may be.